I really can’t stand throwing anything away. I honestly enjoy foraging through the refrigerator and the pantry to see what I can come up with. Let’s see. I’ve got some leftover spaghetti, sauce, sausage . . . what can I make with those ingredients? Spaghetti pie! I’ve made this dish a thousand times but I usually make it with ricotta cheese. I guess that means it’s time to get creative. 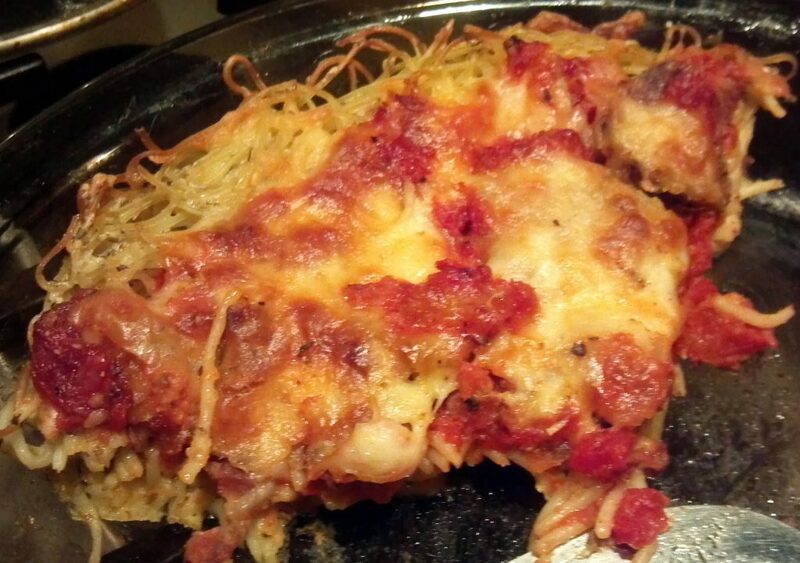 A delicious way to use leftover spaghetti. Mix eggs, Italian seasoning, cheese, garlic powder, salt, pepper and milk together. Add the cooked, leftover pasta. Press into the bottom of an 8" or 9" buttered pie plate. Top with sauce, sausage and mozzarella. Bake for 35 minutes. Let rest for 2-3 minutes. Slice and serve.